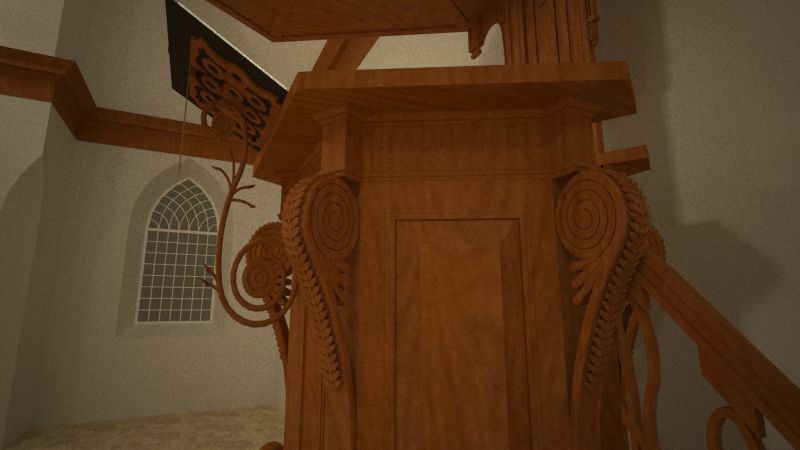 Recently, I was able too add a special component to the model of the church in Hummelo: the pulpit. 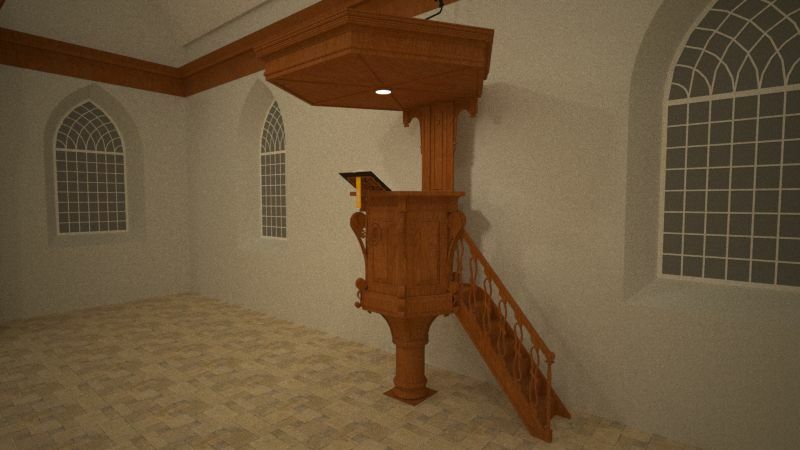 It is remarkable in various ways: to begin with, it is the first step of modelling the interior of the church. Next, I can state that the component reproduces many details of the woordcarving. But the most important fact is that I did not create the model, but a collegue, Berry Joosten did.Some time ago I received an email from Berry whether he could help me in reconstructing the history of Hummelo. 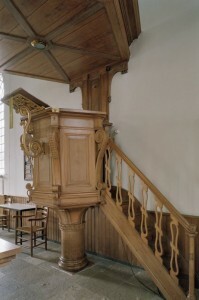 His hobby was to model all kinds of objects in 3D and he proposed that he would contribute by modeling interior objects. To test his abilities I proposed he would have a go in modelling the church’s pulpit: a beautiful object which would clearly show his abilities. In a sense this made the model a real masterpiece in which a craftsman shows he fully masters the craft! As you can see for yourself we can easily state that this is the case: it has become a beautiful model which is in line with my way of working. I will therefore thank Berry for his contribution! ‹ What if virtual time travel was real?